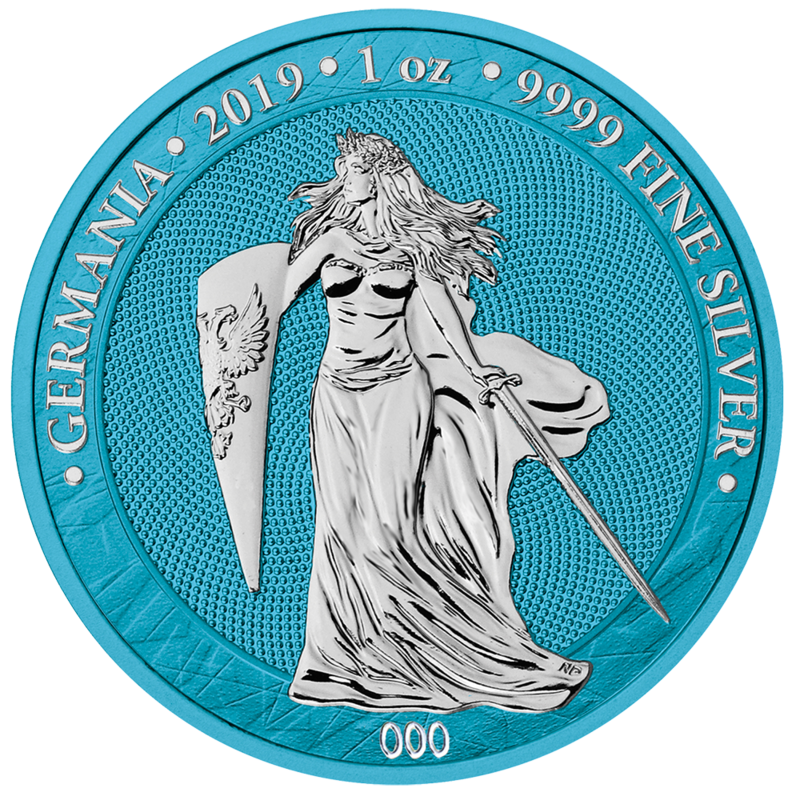 Germania 2019 Space Blue - Germania Mint Bullion and Commemorative Coin Manufacturer. 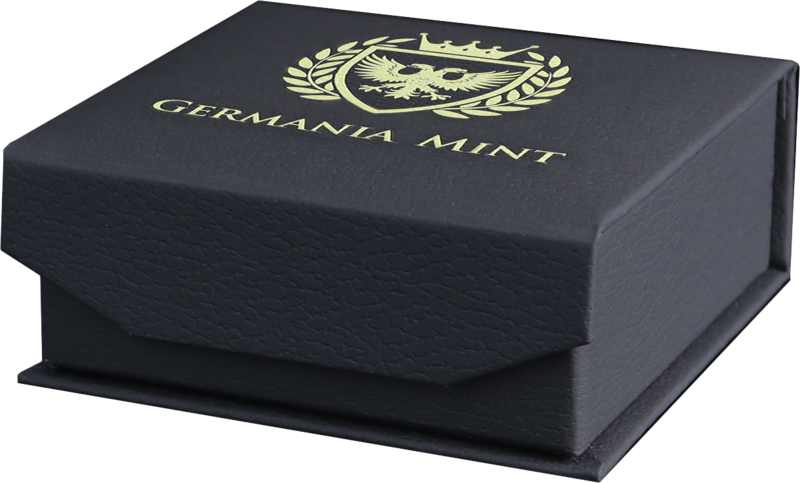 Germania Mint introduces an extraordinary Collector’s Edition 2019 Germania Space Blue. 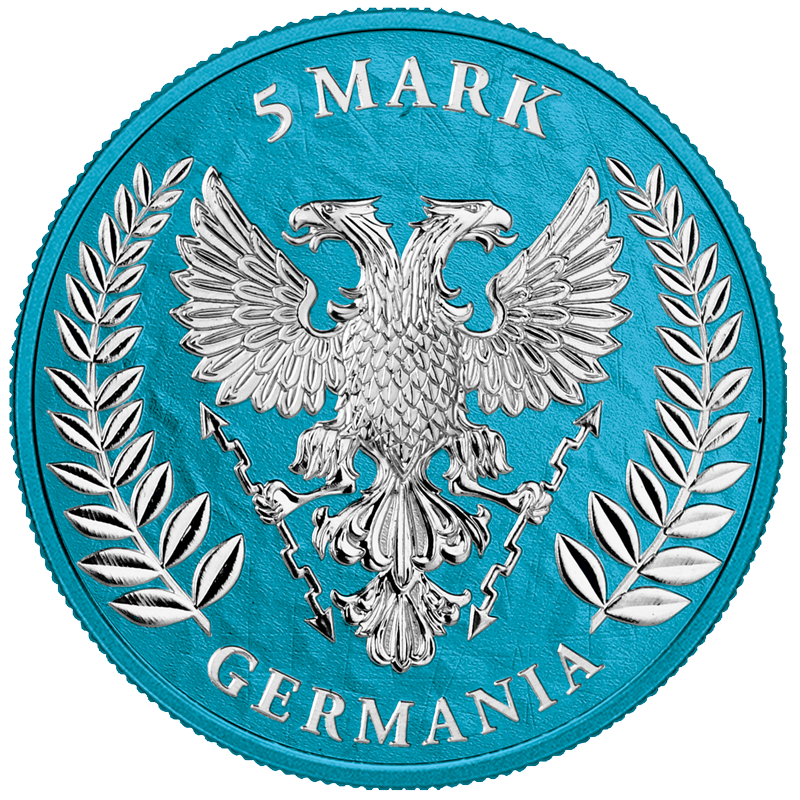 The coin is ennobled with a brand new coating, equally mysterious as the figure of Germania itself. 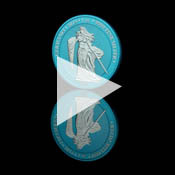 The mintage of the coin is certified up to 500 pieces. Each coin has been numbered using a new method, in which the number is placed on the relief and not on the edge as usually. The figure of Germania and all inscriptions remain in pure silver, while rest of the coin is covered with a new coating called Space Blue. That kind of innovative galvanic ennobling technique creates a noble and metallic character on the surface. The effect is exceptional to achieve on pure silver coins. On the other side of the coin the Space Blue coating is also placed selectively, which results with blue metallic background and pure silver elements of the relief. The Space Blue ennobling creates a transparent surface, which allows to keep all of the details and the mirror surface undisturbed.